Sally is a major star both Hong-Kong pop music and movie scenes. Sally grew up in Canada. Yeh's singing career started in the early 1980s and gradually expanded in the following decades with a total of thirty albums, plus forty-odd compilations and live recordings. Yeh speaks Cantonese, Mandarin, and English. Her Jazz-trained vocals allow her to handle a wide range of musical genres. 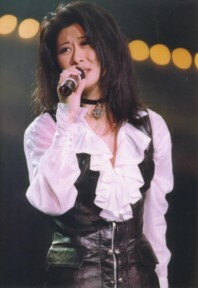 Apart from a good record track of original hits, Sally Yeh has, through the years, covered a number of Western songs like the Titanic's movie song. Oddly enough, Yeh's mastery of written Chinese is rudimentary at best, and she often used romanized phonetics to help her read Cantonese and Mandarin lyrics. Yeh's career seemed to be in decline after her marriage in 1996 to Hong Kong pop star and composer-producer Georges Lam. Many considered her discography ready to be shelved in the oldies section; however, in 2002, Yeh unexpectedly re-entered the Cantopop market with a new record, "Can You Hear," followed by a concert tour. By early 2003, she had two titles in the Hong Kong hit parade. With new records currently in production, her career seems to be going smoothly. She is the only Hong Kong singer to have received the Hong Kong Best Female Singer award four times.